Extensive content expansion due out on April 25. Koei Tecmo has announced the “Fame and Strategy Expansion Pack” for Romance of the Three Kingdoms, an extensive content expansion for Romance of the Three Kingdoms XIII set in second century China. It will launch on April 25 in North America and Europe for PlayStation 4, Xbox One, and PC via Steam. The expansion marks the first time the strategy game will be available on Xbox One in western territories. Xbox One users will be able to purchase the expansion as a digital bundle including both Romance of the Three Kingdoms XIII and the “Fame and Strategy Expansion Pack.” This bundle will also be available for the PlayStation 4 and PC versions of the game. 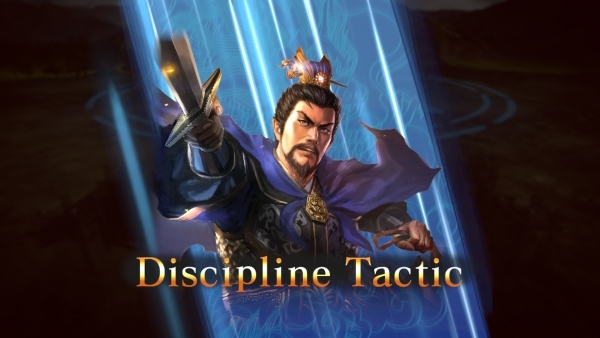 Romance of the Three Kingdoms XIII: Fame and Strategy Expansion Pack introduces new mechanics to the series that allow for greater strategic possibilities. One of these additions is the Fame System, wherein players work towards receiving bonuses for their characters by completing achievements, which range from battlefield objectives to peacefully resolving disputes. Players can also earn a Prestige title for their character through the Fame System, which will unlock new actions based on their Prestige level and ultimately shape life as an officer. Also arriving with the new expansion is the War Council, which is held before engaging in battle. With this feature Generals are able to choose which Officers will follow them into combat and which strategies they will apply to outsmart their opponent. Furthermore, players will now be able to create their own scenarios with the Event Editor. This tool allows unique narratives to be crafted within second century China and offers full control over when Events take place, which officers are affected and whether there will be multiple outcomes. On top of these engaging gameplay elements, players will be able to utilize a wide range of strategic options and kinds of warfare from the base Romance of the Three Kingdoms XIII game. Players can partake in open field, narrow pass and naval battles, duels, or exchange weaponry for words and enter debates. Each battle is brought to life with stunning detail alongside environments that provide better views of the field and support quick and efficient changes to battle strategy. Outside of combat, the Civic Development system provides the option of developing Commerce, Farming and Culture, which can give a variety of boosts to an army’s loyalty and strength. Finally, securing allies and forming strong relationships through the Bond system is key to receiving aid in tight situations, allowing the tides of battle to be turned in the player’s favor.